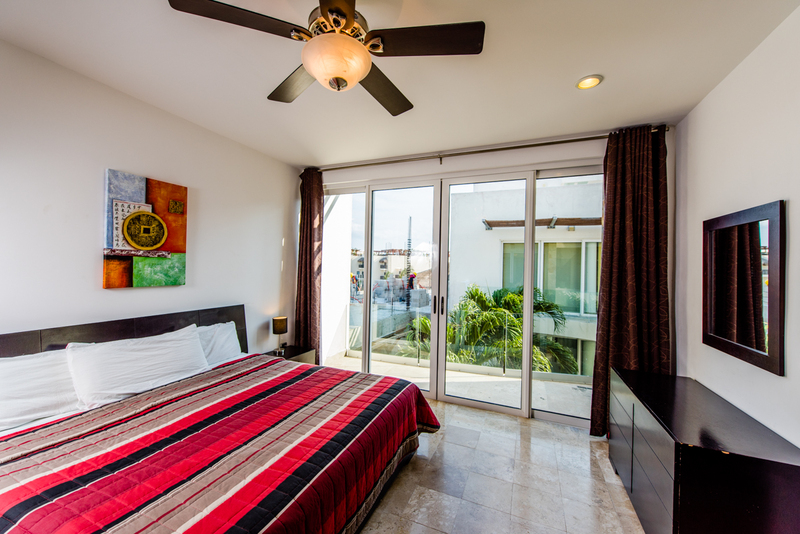 This 2 bedroom gorgeous ocean view home is just steps from both, Mamitas Beach and the famous pedestrian walking street, 5th Avenue. 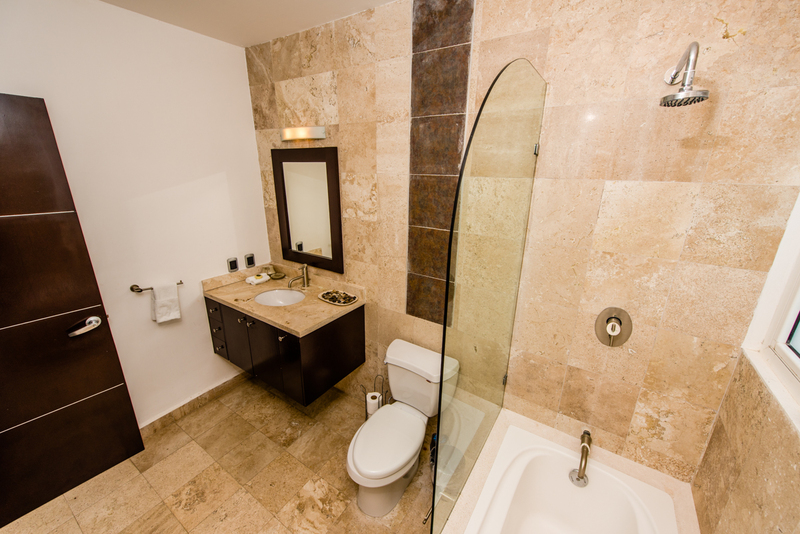 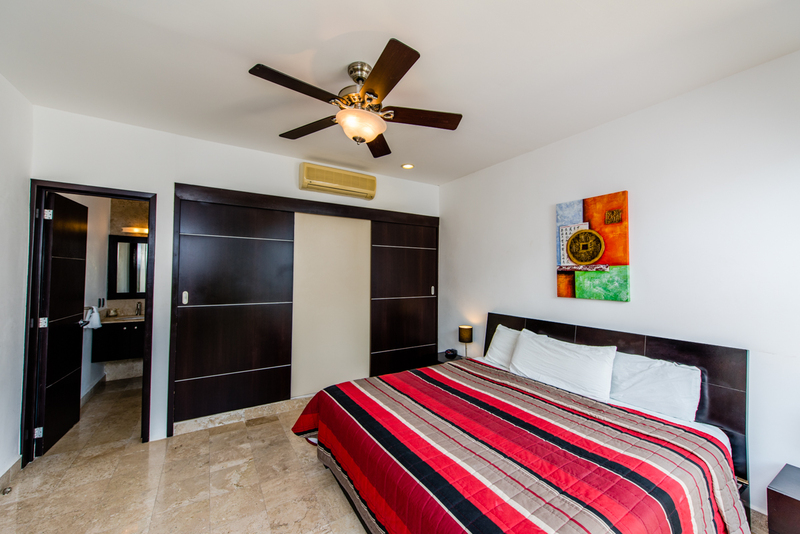 If you are searching for the perfect place in Playa del Carmen look no further. 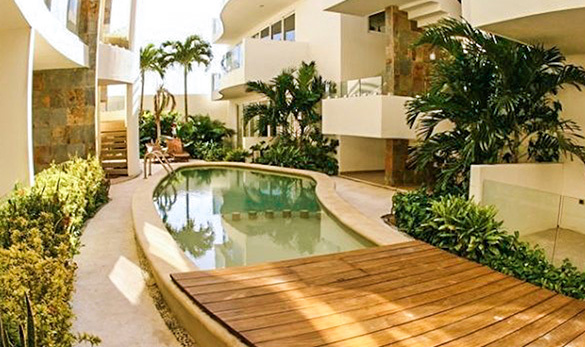 This is your next vacation spot! 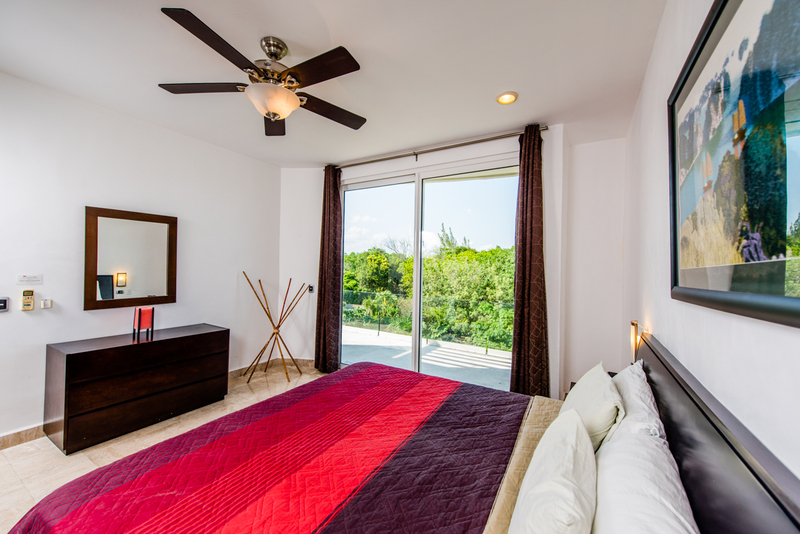 Both the master bedroom and second bedroom offer king size beds and an ensuite bath. 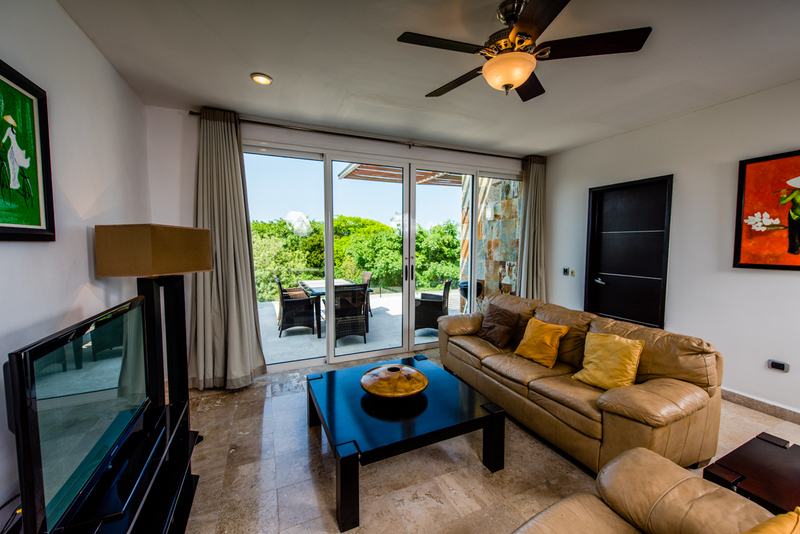 The living area offers a sofa bed making this home perfect for 4 to 6 people. 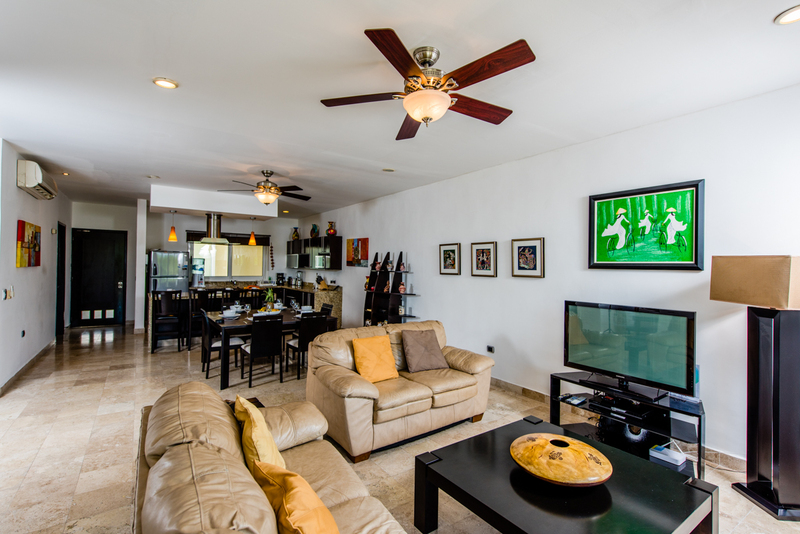 The living space offers a guest bath, dining table for six, a comfortable relaxing living room, fully equipped kitchen with modern stainless steel appliances, and air conditioning in every room. 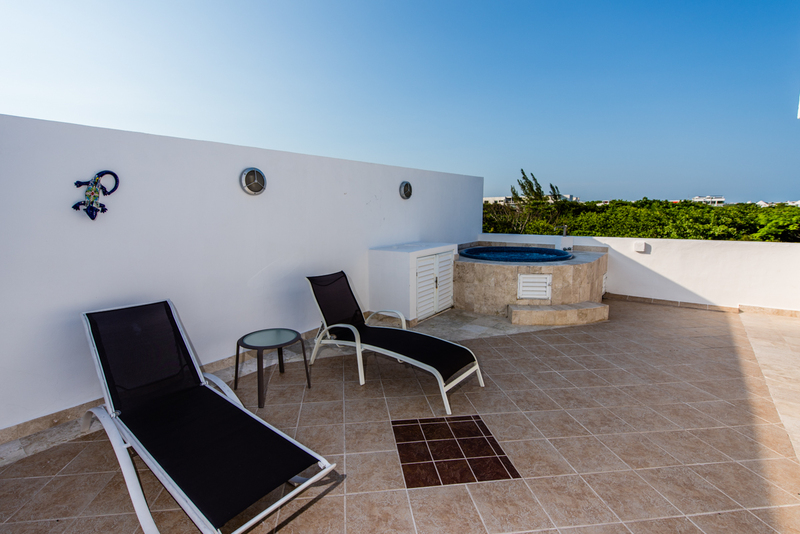 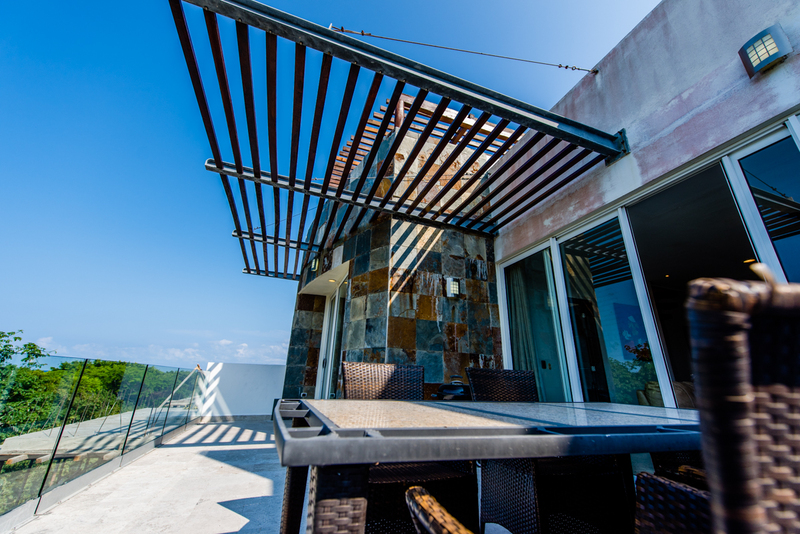 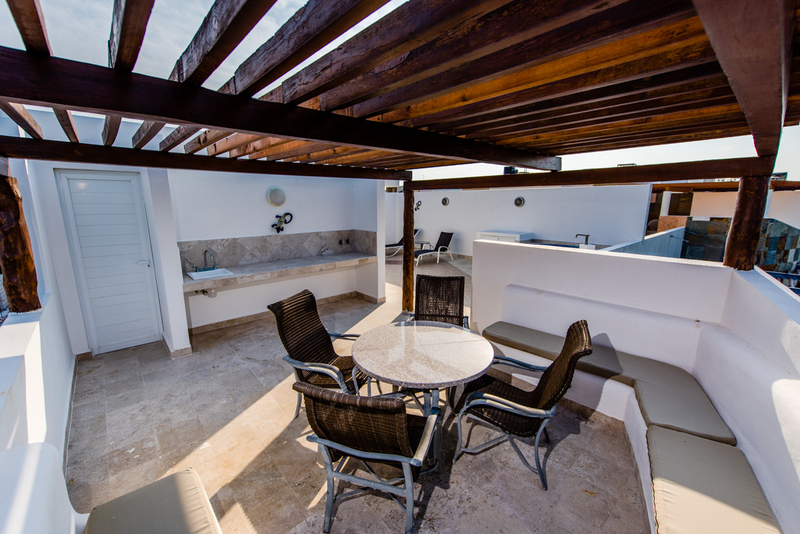 The rooftop terrace offers a heated jacuzzi and a large area to enjoy the sun with breathtaking views of the Caribbean ocean!! 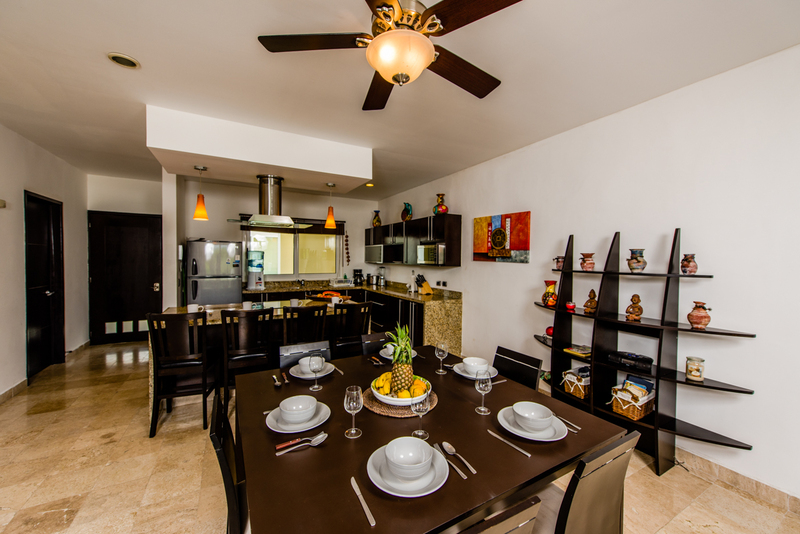 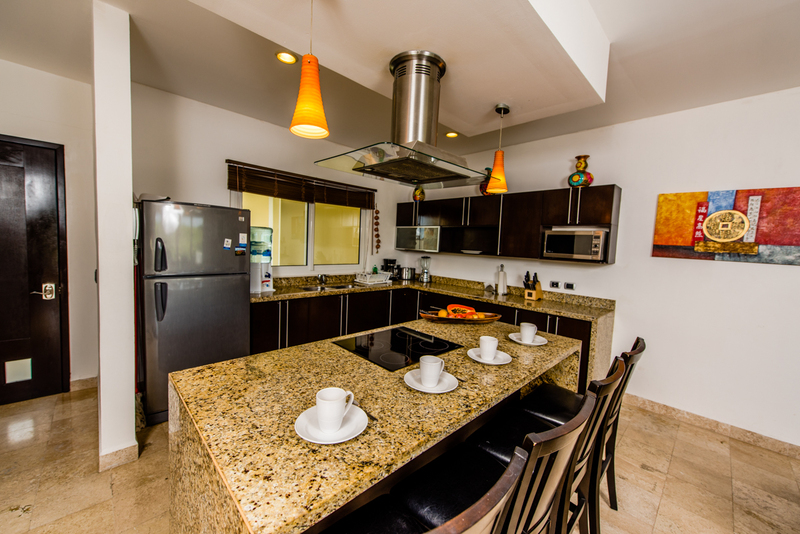 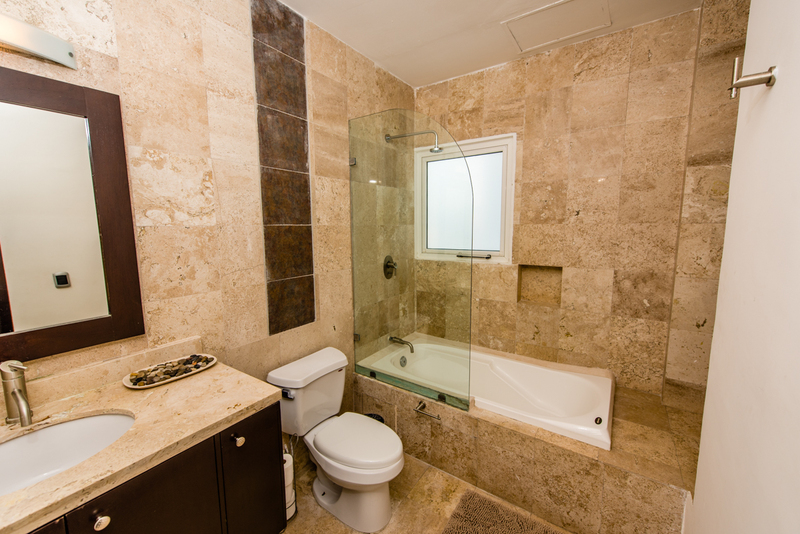 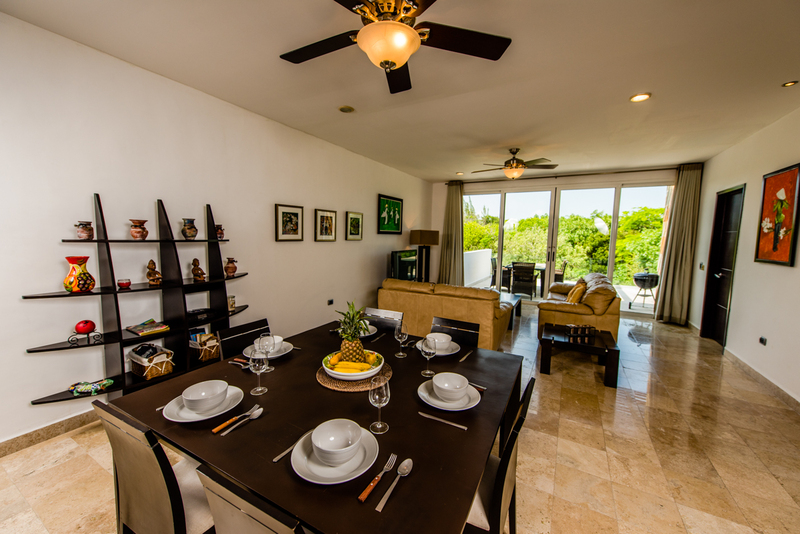 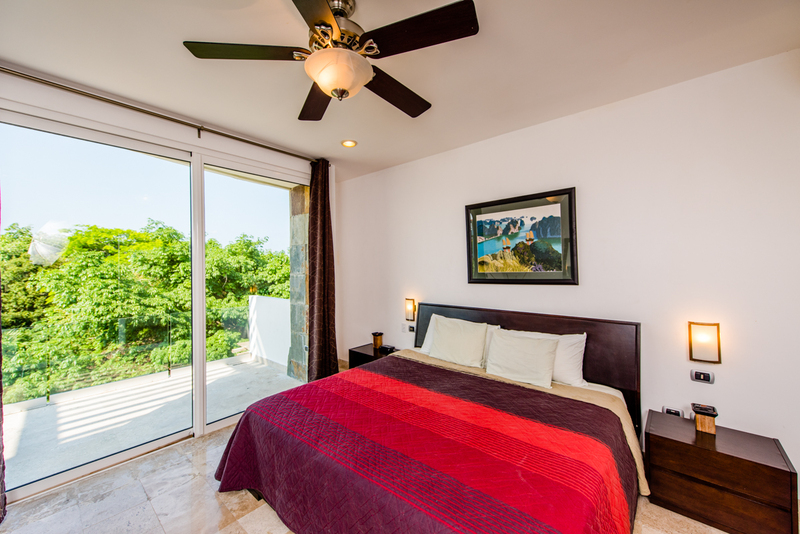 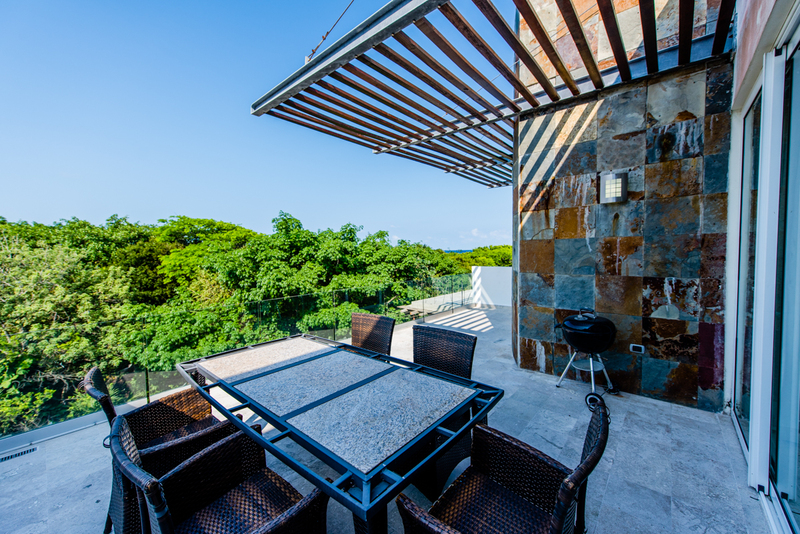 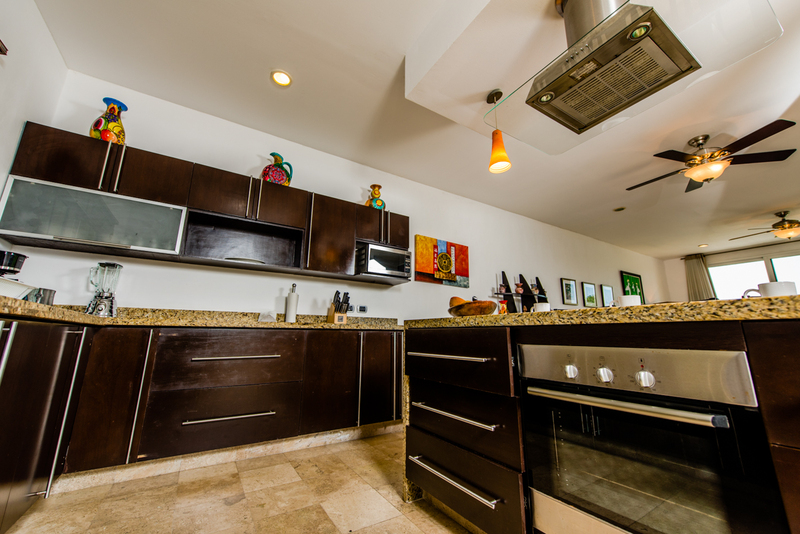 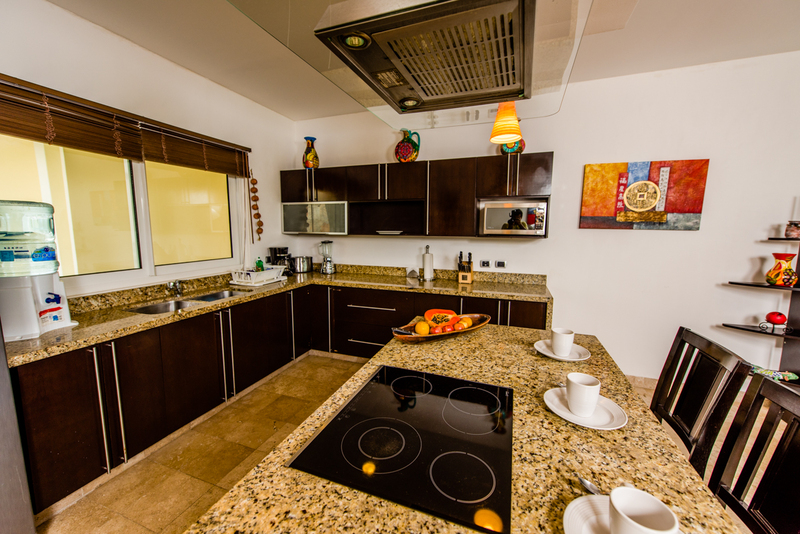 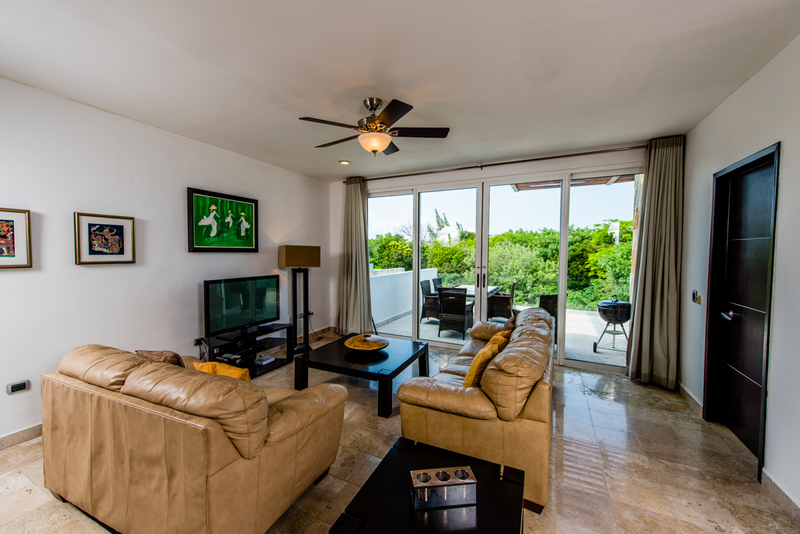 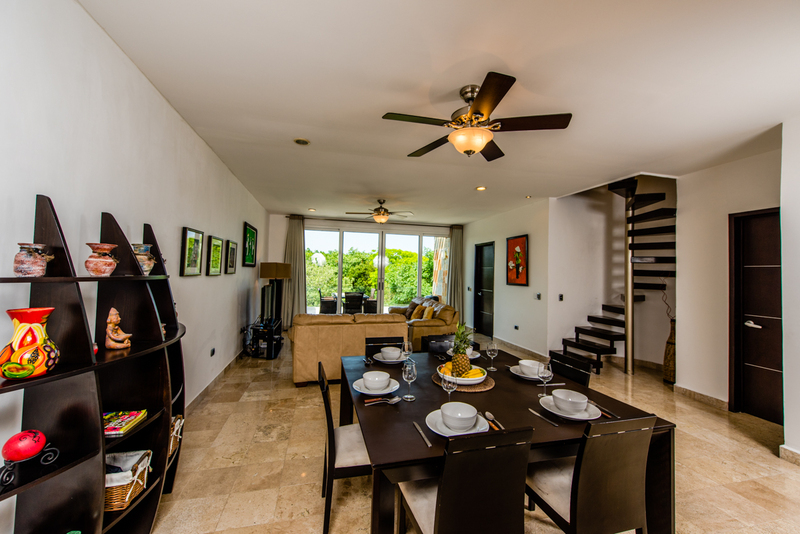 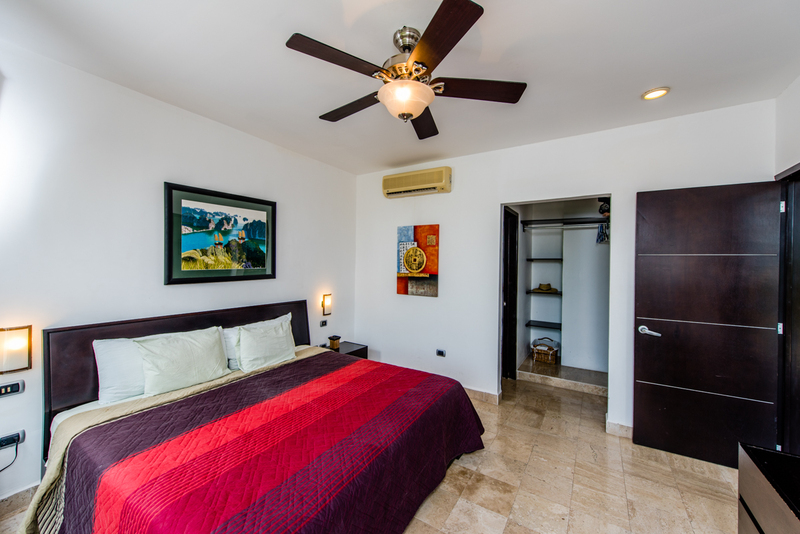 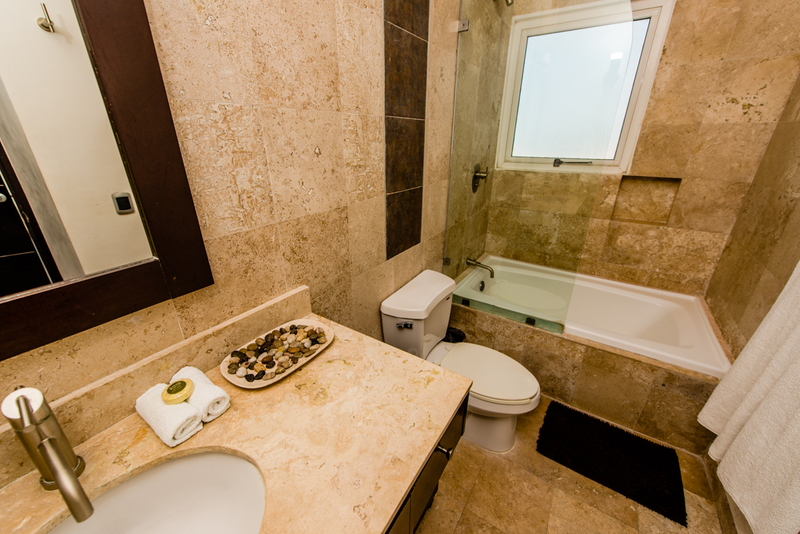 This home is steps from the nightlife, shops, boutiques, and restaurants of Playa del Carmen. 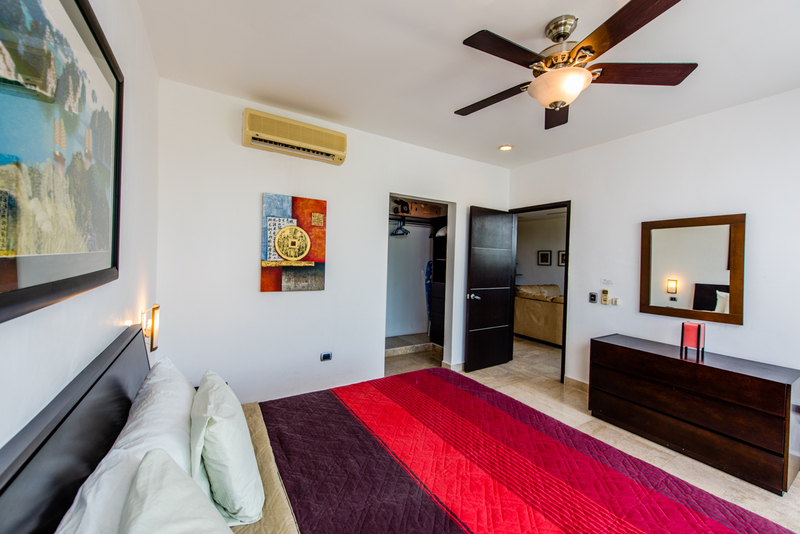 Renting a car is not necessary as most things are within walking distance, however, in the event you decide to rent a car, underground parking is available.